Rock & Metal 4 You: BAI BANG return with new album "All Around The World"
BAI BANG return with new album "All Around The World"
The Swedish Glam-Rockers BAI BANG announced the release of their 8th studio album "All Around The World". 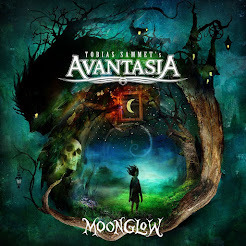 It will hit the stores on April 26th, 2013 via AOR Heaven. The Swedes shared the stage with bands such as LA Guns, Thin Lizzy, Wishbone Ash, Ratt, Dio, Mötley Crüe, Pretty Maids, Saxon, Axel Rudi Pell and played at festivals such as Sweden Rock, Wacken and Rocklahoma. 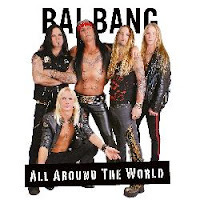 Bai Bang were also nominated for the best sleaze/glam album with their record "Are You Ready" at the Swedish Metal Awards and voted as “The Best all round party anthem album of the year” in the Australian magazine The Rockpit in 2009. And simply this is what Bai Bang do best: writing party anthems, which are catchy as hell. This hasn't changed if you listen to the three sound samples below! More stuff to come for 80's-Rock die-hards!